Our Junior Keeper Experience let’s young animal lovers get up close and personal with monkeys, giraffes, penguins and more. We followed Kacey on her Junior Keeper day to give you a closer look at all the action our Junior Keepers experience! 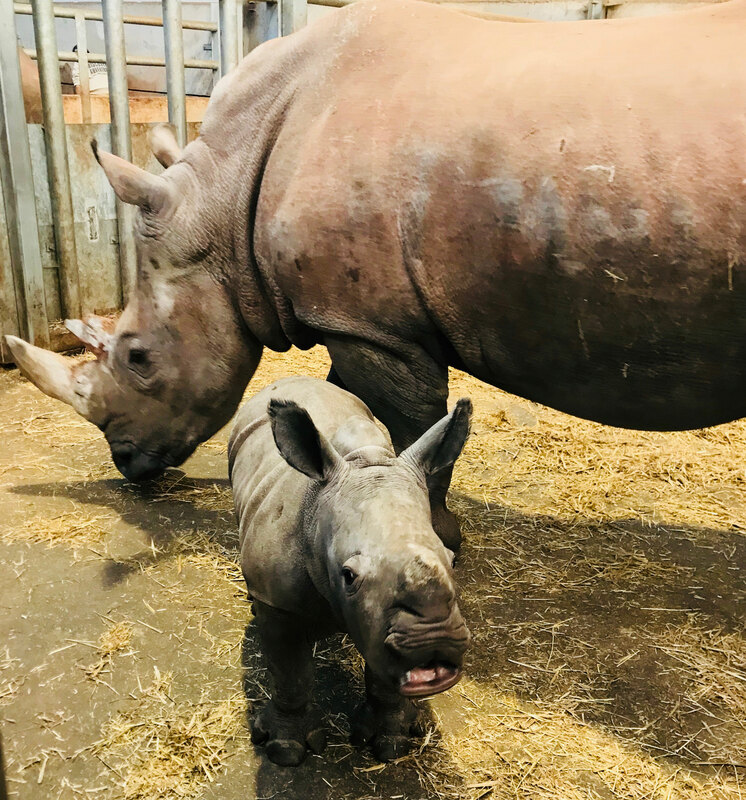 Kacey’s day started bright and early when her dad dropped her off with keeper Gavin at our entrance building. We headed off for the setting of our first task of the day; Africa! 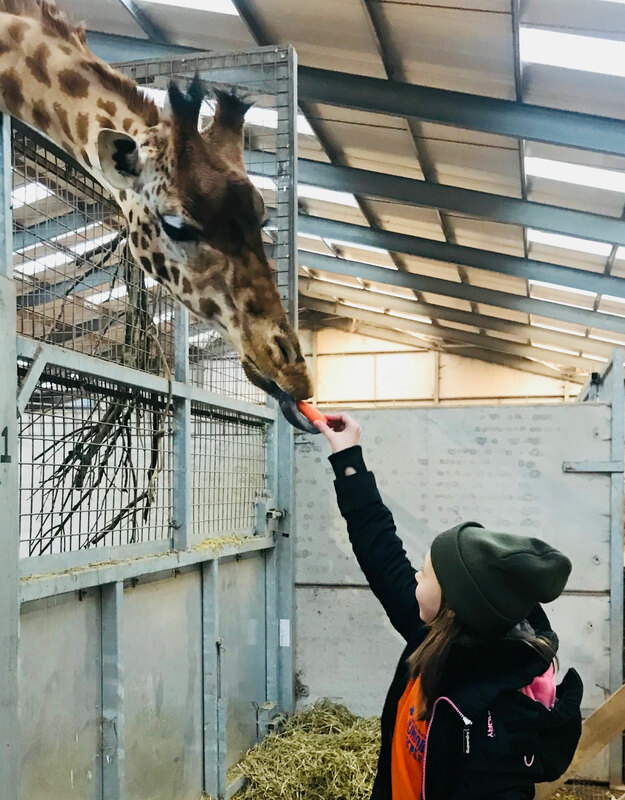 First we were feeding the only West African or Kordofan Giraffe tower in Britain including our encounter with Ekundayo and Weller, the first 2 babies we met, their carrots. We were drooled on (a lot!) but that didn’t stop us getting stuck right in, making sure each one of the long-eyelashed-lovelies got a share. Gavin told us about the valves in a Giraffe’s neck which help regulate blood flow to the brain as they bend to drink, avoiding serious injury. We learnt why giraffes have their treats hung high in their enclosures and how their super-long tongues are grey-y blue to protect them from sunburn. 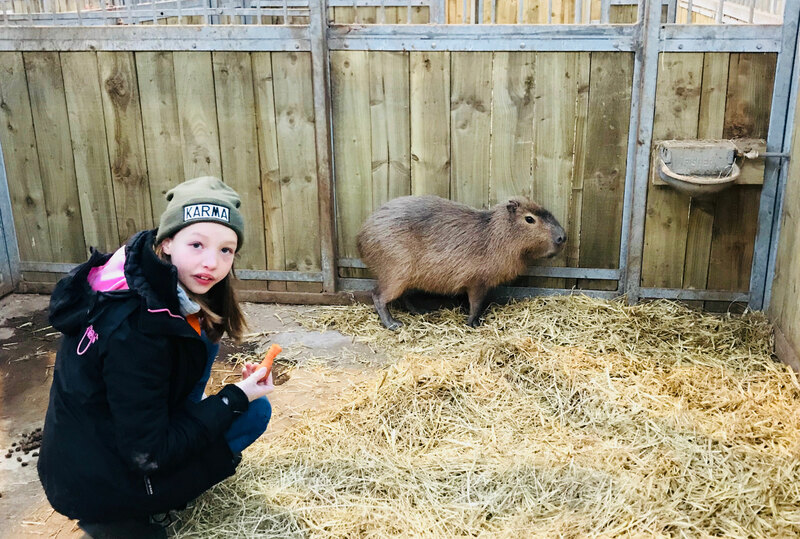 Next we moved on to the first mucky task of the day – cleaning the pen of the largest rodent in the world, the resident Capybara. 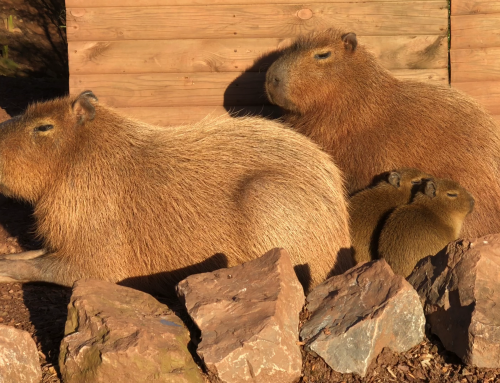 This Capybara is a bit of a squatter as he’s really South American (but also brimming with personality so we overlook that fact). Kacey was set to work shovelling poop, cleaning and refilling the water bowl and replacing the straw beds, making sure it was nice and thick – Gavin explained the thicker the straw, the warmer the bed (so we popped a little extra down for good luck). We gave them a nice bowl of food and some hay for munching. Then it was on to our second baby encounter of the day – resident Nyala, Zola and her Mum, Marge. 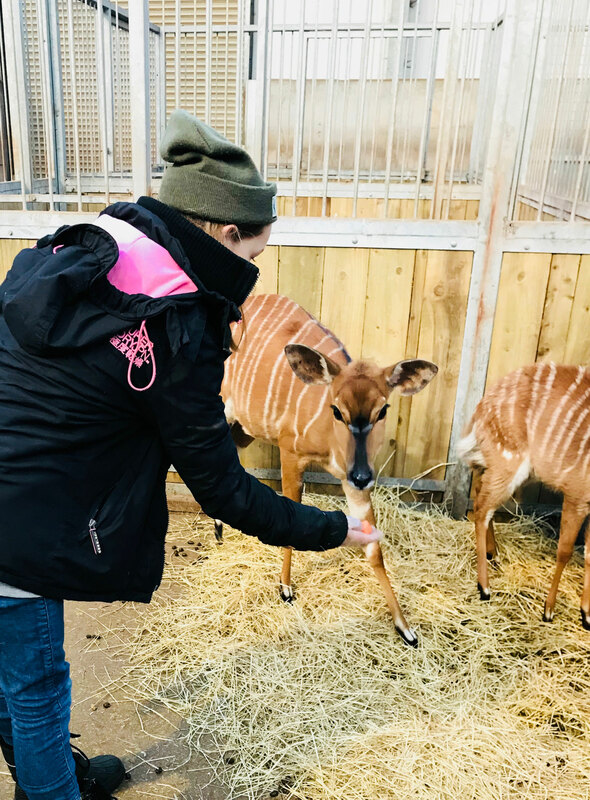 Nyala are timid by nature but the draw of a juicy carrot was so tempting we were able to hand feed them before cleaning out their pens and giving them a proper portion of tasty grub. Last but not least, no visit to Africa is ever complete without meeting resident chunky monkeys, the white rhino. Mazungo – our 20 year old big fella – asked for a scratch behind the ears and an eye rub which we (of course) happily obliged! Gavin told us how they build rapport with the rhino, which results in happy rhino but also lets the keepers train them. Mazungo for example will lift his foot on command, which obviously looks pretty cool but serves a much more vital purpose – it helps keepers check foot health. The rapport and mutual trust came into play over the course of 2017 as the keepers were able to gradually get the rhino used to having an object placed on their ear, building up the length of time it was on the ear, varying the weight of the object and ultimately this enabled blood tests to be taken simply, onsite. 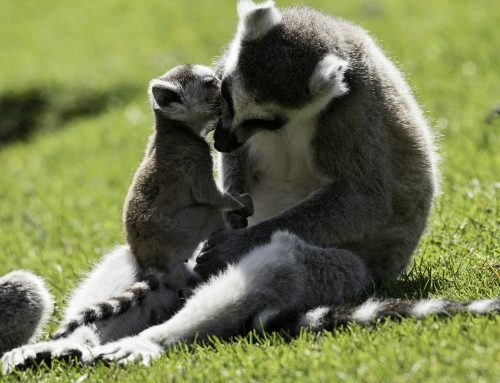 Book your own Junior Zoo Keeper Experience here! Before leaving, we paid a visit to third, fourth and fifth babies of the day, Zhara (2 months), Mosi (1 year) and Spud (14 months). Spud and Mosi are uber-keen for a tickle – especially a tummy rub for Mosi! Zhara is getting more and more inquisitive and kind of charged up to us a few times, then reversed tossing her cute little head – clearly playing with her new 2-legged friends! Mum is still very protective of Zhara so we were careful to keep arms well out of the way! Gavin told us about the threats posed to Rhino in the wild as their horns are believed to have medicinal properties. We left Africa and headed to the Illesca’s aviary, feeding the runner ducks enroute – Gavin pointed out the difference between a runner duck and a duck we are used to seeing on the park, the main one being leg placement, with a runner ducks legs being best placed for, you guessed it; running! We said hello to the flamingo where we learned that the flamingo’s beak acts like a filter and that they are pink due to the food they eat – in the wild this would be shrimp and algae, in captivity as is the case here at Safari Zoo, the food that they are fed mimics this with the inclusion of proteins. Entering the Illescas aviary we were greeted by a host of Vultures and Condors. Our task today was to feed the Inca Terns, which was amazing! As Kacey and I soon discovered, Inca Terns love fish, no, they REALLY LOVE FISH…..we had a bucket of prawns and white fish which they went mad for! As Kacey tossed the fish in the air the Inca Terns swooped and caught it mid air, wings wafting just above our heads. 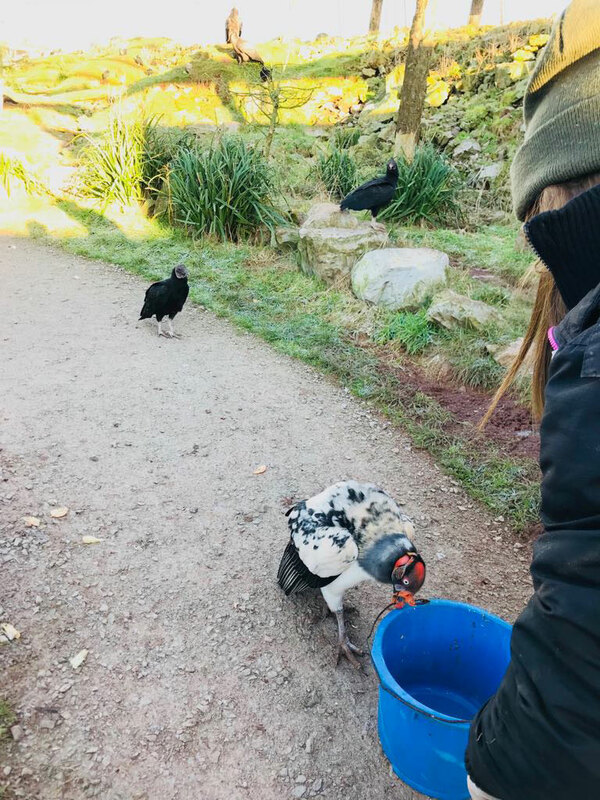 We also had a fleeting visit from the inquisitive hand-reared King Vulture to see what we had in our bucket. Everyone’s favourite beaked-buddies were now ready for their morning snack so we trooped over to Humboldt Haven armed with plenty of fish. Stopping to watch them play in their pool, we wanted to know how Penguins were able to dart around so quickly under water without banging into the wall (or each other! ), Gavin told us about the Penguins’ extra transparent eyelid which protects their eyes and still enables them to see when they are swimming underwater. 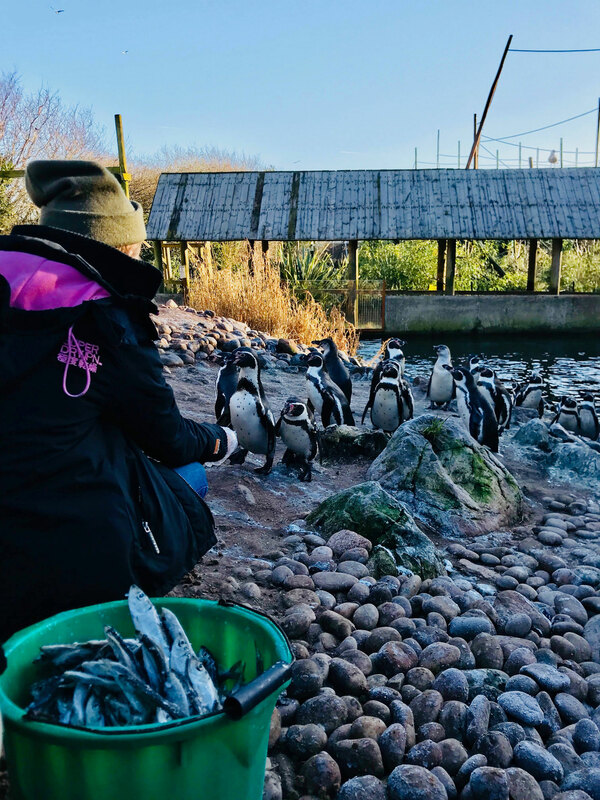 Kacey wanted to know why all the Penguins have black backs and white tummies, Gavin told us that the white bellies blend them in with the sky as predators swim below them, whilst the black backs blend in with the deep ocean floor for predators swimming or flying above them – very clever! We went right up onto the rocks in Humboldt Haven with the penguins waddling right up to us to take their fish, so exciting! 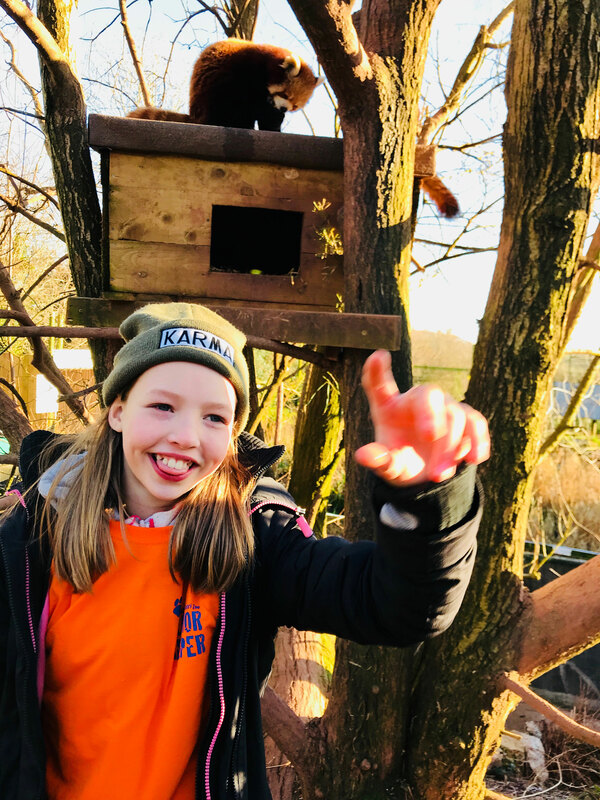 Kacey was keen to meet Tink and Pan our resident Red Panda so we took a step sideways and entered the Red Panda Residence, armed with freshly chopped banana, pear and grapes. Using bamboo as a “fork” (Red Panda’s have super-sharp gnashers!) Kacey fed the lovely Pan pieces of banana and pear. By nature, Tink our lady panda, is a little more suspicious of newbies and tends to retreat up the top of her tree initially, however, we were so very lucky as Tink ventured down to join her tree-buddy and enjoyed the juicy fruit during our visit. 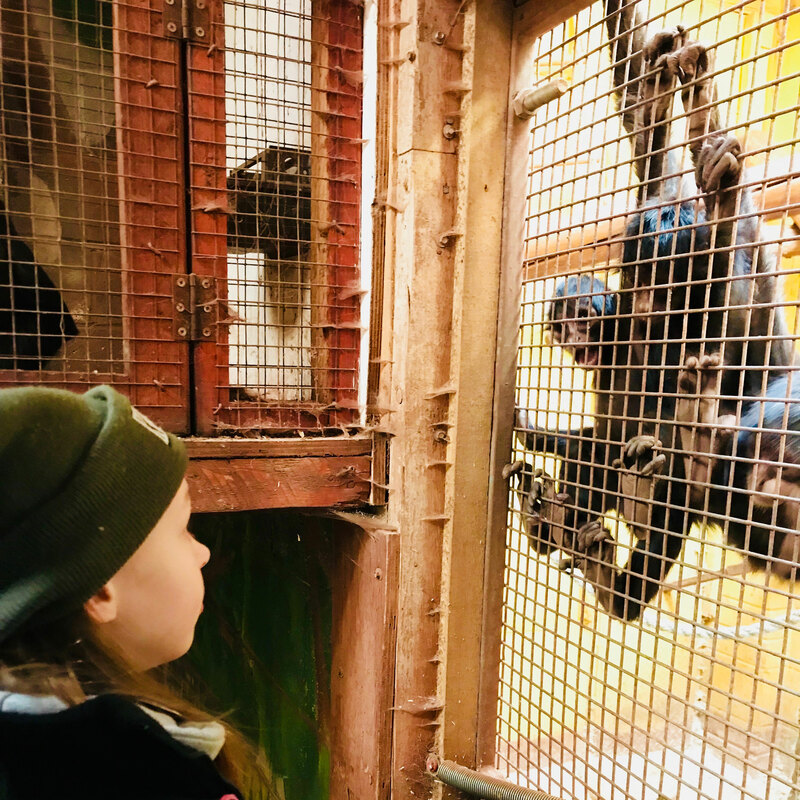 No visit to Safari Zoo is complete without a visit to our cheeky monkeys so next stop: Primate section! The Siamangs (the largest of the gibbons) were in full voice this morning, Gavin pointed out to us how the sack on their necks expands as they sing as it fills with air, acting as an amplifier, which is what makes them so loud! So loud in-fact that their voice can often be heard in Dalton Town Centre and has even been reported as far away as neighbouring town, Barrow-In-Furness. 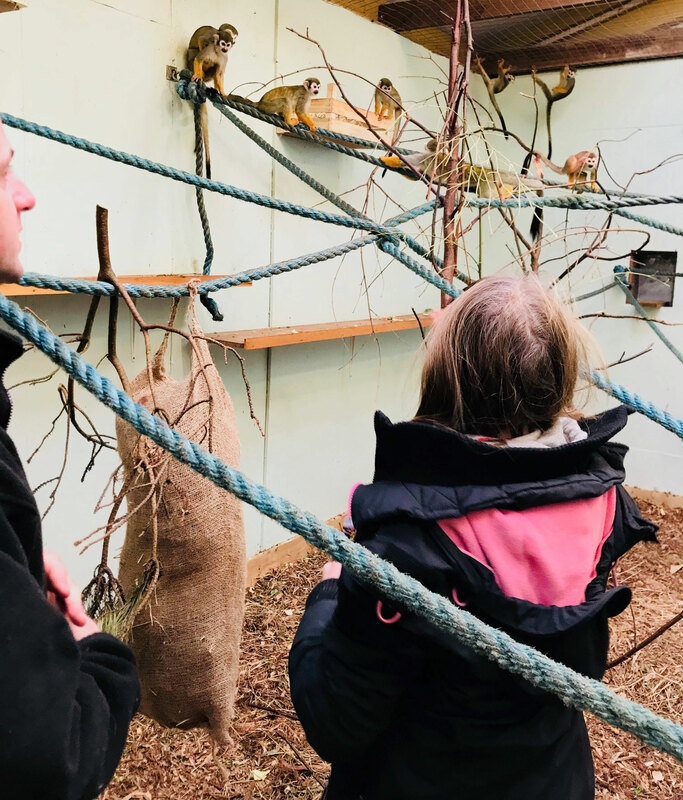 Into the Primate corridor and first stop – Squirrel Monkeys. We took our hats off before we went in, not wanting to lose them to the spirited little squirrels. We learnt that, for their tiny size, these little cuties have the biggest brain to body ratio on the planet. 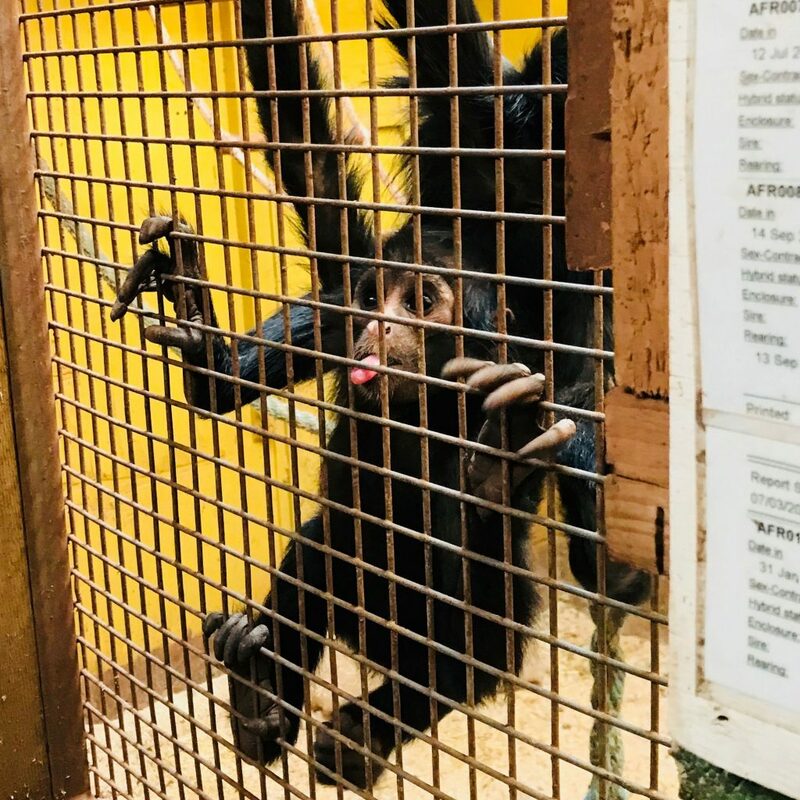 Moving next door to the spider monkeys, we found out that apes do not have tails but monkeys do, and that spider monkeys do not have thumbs and that they like to stick their tongues out at visitors – a lot! We visited the indoor house of the Cotton Top Tamarins and their adorable babies, where we learned that their Santa Catalina natural habitat has been destroyed to the point that their remaining forest is only 3 times the size of Safari Zoo itself! Quick stop off at the animal kitchen again to collect a bucket of stinky rats and prawns to feed the resident maned wolves. Standing at the edge of the enclosure Kacey tossed the rats and prawns to the wolves who caught them mid air and smuggled them away for a chomp. As the final treat on our experience, we made a visit to the big cats – male Lion Shikar (17 years) gave us a roar, Snow Leopards Kady and Wolfgang popped into their indoor house to greet us and show us the bottom of their mahoosive paws! We then, as an extra special treat, visited Remy and Bonita, resident beautiful Jaguars for a spot of hand feeding! Seeing these beautiful cats jump up and grab the fish from us was amazing! From start to finish we had such a fun filled day! You too can have a day like Kacey’s! 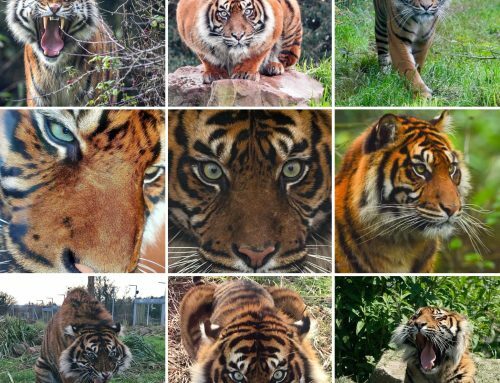 Our Junior Keeper Experience makes a great gift. Cost is £70.00 per child and includes a drink and snack as well as a Junior Keeper T-shirt as a memento of the adventure. Book your own Junior Zoo Keeper Experience now!